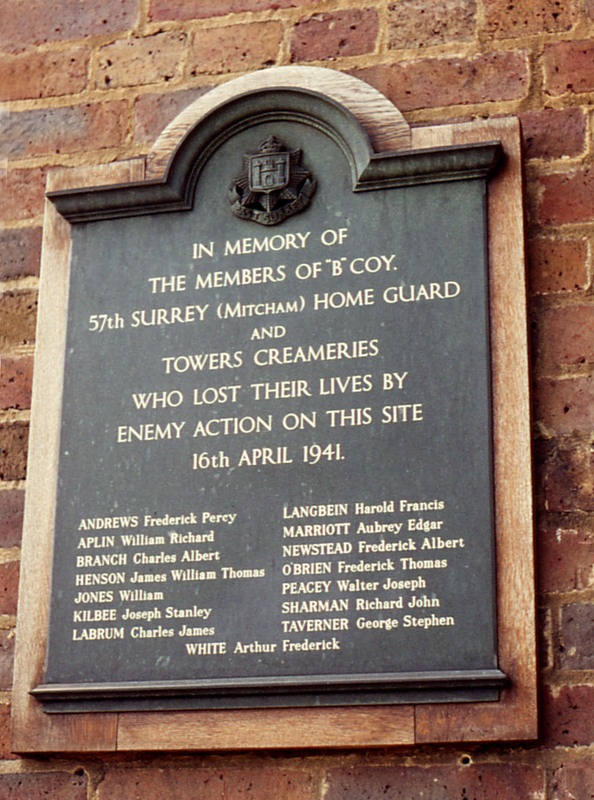 Mitcham, with other south London suburbs, found itself in the front line: heavily bombed during both day and night raids, the damage to houses and factories and the loss of life was serious. 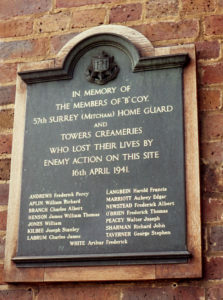 In one tragic incident on 16 April 1941 fifteen members of the Home Guard, on duty at the Tower Creameries, were killed by a parachute mine that fell on the Common close by. Huge tracts of the Common were ploughed by Land Army girls for the War Agricultural Committee, producing crops of potatoes and cereals. Mitcham Corporation ran British Restaurants to provide wholesome meals. Highlights were the Spitfire Weeks or the Wings for Victory Campaign, (with a crashed Nazi bomber on display at the Cricket Green). By the early 1950s Mitcham Corporation could proudly claim to have the best municipal housing record of any authority in Surrey. During this time, apart from rebuilding a few private houses demolished by enemy action, no private development was permitted. Mitcham Common, restored to public use by the late ‘forties, was still in part a delightfully rugged tract of wasteland. In the 1950s large areas of wetland were used for the controlled tipping of domestic waste, and much of botanical interest on the Common was lost. Under the provisions of the London Government Act 1963 the Borough of Mitcham was merged with the Borough of Wimbledon and the Urban District of Merton and Morden to form the London Borough of Merton in 1965. 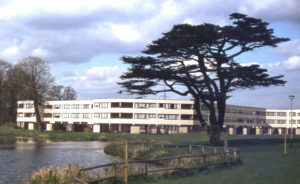 A new swimming pool and sports complex was built in the grounds of The Canons, and the new council gained awards for its housing estates at Pollards Hill and on the site of Henry Hoare’s mansion on the banks of the Wandle. The old heavy-industry buildings of Church Road and Western Road fell into disuse and were largely replaced by housing, and a Cricket Green Conservation Area was created in 1969; challenges remain to that area in the closure of the 1920s fire station and of three public houses, one of which, The Cricketers is now demolished. The Fair Green was redesigned in 1994 to remove the north-south through traffic and is now undergoing further redevelopment to reinstate the through traffic for buses.